Now, a female Fast and Furious spinoff has been in the works for quite some time. It just took a little while to get off the ground. As mentioned by Diesel, the project had been in the works in 2017. While the actor does mention the three by name as the film’s writers, it is likely that they could be working on a first draft. Chances are, there could be some additional rewrites on the draft. Which tends to happen in films like these. But one of the reasons why we haven’t heard an announcement yet could be because Universal wants to wait and see how Hobbs and Shaw does at the box office as the first Fast and Furious film that is not a sequel. However, the franchise itself has been through a few rough patches, which is why we may be seeing few delays in the sequels. This includes infighting among some of the members of the cast. So while there won’t be a sequel, a new spinoff will give some of the female members a chance to shine. 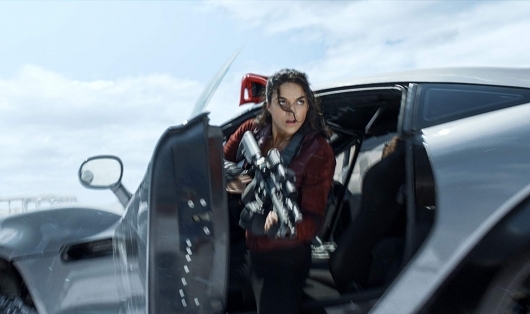 If it is announced, we can presume that it will focus on Letty (Rodriguez), one of the characters who has been a part of the franchise the longest. Mia O’Connor (Jordana Brewster) and Ramsey (Nathalie Emmanuel) could also play vital roles in the film. Then there’s Gal Gadot’s Gisele Yashar, who has appeared in multiple Fast and Furious films herself. And even though the character herself is dead, the Fast and Furious franchise has never been one to let something like that get in the way of bringing back characters.